Posted by geoconger in China, Get Religion, Popular Culture, Press criticism. The terrible story out of China of a toddler run over by a van as she wandered alone through a market has seen extensive news coverage. As two-year old Yue Yue lay in the street badly injured, a security camera recorded 18 people passing by before a woman stopped to help. There has been an outpouring of outrage on blogs and social media, some of it prompted by the passers-by making excuses for their behavior. The incident has sparked a debate on China’s cultural and legal strictures and the state of Chinese society. There have been some solid pieces about China’s moral malaise as well as examinations of high profile cases involving similar issues. A few thoughtful stories have also discussed the “by-stander effect”: a phenomena best known from the 1964 case of Kitty Genovese, whose murder in a crowded stretch of Kew Gardens became known as a metaphor for moral decay after no came to her aid. This phenomenon essentially began Nov. 20, 2006, when Xu Shuolan, a 65-year-old woman, fell and broke her hip while attempting to board a bus in Nanjing. Peng Yu, a 26-year-old, was the first to help her. He gave her 200 reminbi and escorted her to the hospital, staying with her until her family arrived. In thanks, Xu sued Peng for 136,419 reminbi, or $18,000, claiming that he was the one who knocked her down. In one of the best-known, most important Chinese judicial rulings of the last decade, a court decided that Peng owed Xu 45,000 reminbi, or $6,076. The court didn’t have any evidence that Peng committed the crime of which he was accused by Xu. But the court, controversially, used the “daily life experience to analyze things” standard and claimed that the aid Peng gave to Xu was sufficient evidence of guilt. It wasn’t, as many outraged Chinese at the time felt, a simple act of decency. That court case has proved to be morally corrosive, creating an incentive for fraud. The judge’s presumption, essentially, is that only a guilty person would “help” someone in trouble; aid is an indication of guilt. Thus, if a fraudster can induce a person to come to his or her aid, there is a chance for a payoff. Perverse, to say the least. 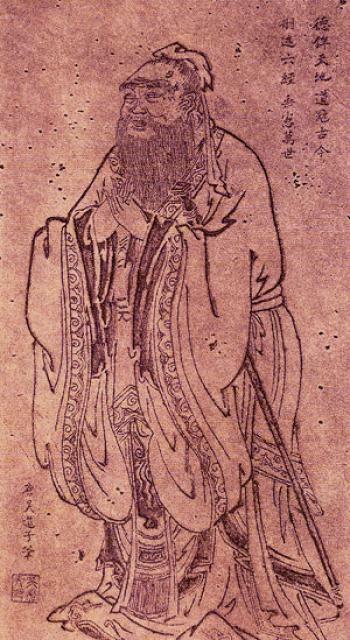 Yet in all of these discussions of ethics and morals, questions about the reluctance of the Chinese to play the Good Samaritan for Yue Yue, there has been no serious examination of the religious or philosophical issues at play (that I have seen). BBC Radio 4’s Thought for the Day did raise the issue of faith in the Yue Yue story. The Rev. Lucy Winket argued that “some blame communism” or “Confucian philosophy” for China’s moral void. However, the C of E cleric was otherwise agnostic about the faith issues. She did observe though that “indifference and callousness is part of the human condition” — could this be an an incipient Calvinism rearing its head? Alas no. I think it is more cliche than belief in the total depravity of mankind. Some responsible voices point out there is a problem in China and it does truth no service by pretending otherwise. This is not to trade in crude racial stereotypes, they say, but to deal with the reality of China’s recent history. For decades conscience was contracted out to the Communist state — it removed the ability of people to think and act for themselves. I cannot prove it, but I think there would be less likelihood of such a dehumanising tragedy unfolding in a country where popular morality had been shaped by a monotheistic religion like Christianity, Islam or Judaism — where charity is embedded in the theology and, ultimately, the culture. Jesus equipped his followers with the Golden Rule — do as you would be done by. Mohammed encouraged alms giving — zakat — to the poor. In China, in the gallop towards affluence and material plenty, there does not always seem much time for the poor. However, it is encouraging to see the scale of the response to the scandal of [Yue Yue]’s suffering — from the Chinese themselves. It is a terrible wake-up call. The vast majority of stories about Yue Yue assume a Christian worldview — one where being a Good Samaritan is a moral good. China experts note that this does not give a true picture. This 2009 article states that Confucian culture does not value the Good Samaritan. It is a foreign concept. The China Hope Live blog cites My Country and My People by Lín Yutáng to explain the faith issues at play for a non-Chinese audience. Confucianism omitted out of the social relationships man’s social obligations toward the stranger, and great and catastrophic was the omission. Samaritan virtue was unknown and practically discouraged. Theoretically, it was provided for in the “doctrine of reciprocity” … But this relationship toward “others” was not one of the five cardinal relationships, and not so clearly defined. … In the end, as it worked out, the family became a walled castle outside which everything is legitimate loot. The only principle that might guide behavior towards strangers is the Chinese ‘golden rule’ of Confucius, ‘Do not do unto others as you would not have them do unto you.’ This counsel, however, is in the negative and prohibits harmful acts rather than promoting helpfulness. It is quite different in its consequences from doing unto others as you would have them do unto you. This Judeo-Christian dictum is another universal principle, but one that endorses an active reaching out to strangers. It finds its expression at the broader political level in constitutional safeguards for minority rights and a social welfare system; at the interpersonal level, in a greater willingness to assist the underdog. Such a principle operates less strongly in Chinese society. In reporting context is key. Omitting the moral, historical and religious context of the Yue Yue story paints a false picture of China. While it could be possible that those who passed Yue Yue in the street were moral monsters, it is more likely they are representative of the religious and cultural flux underway in China. I would argue that this story needs to be seen against the backdrop of Chinese history. Since the liberalizations of the early 1980’s one of the key challenges that Chinese individuals have faced is the question, “What is the meaning of life? For what purpose do I live?” A century of warfare culminating in the Cultural Revolution (1966-1976) not only undermined traditional Confucian values but shook the rhetoric and ideology of revolutionary Maoism. The new emphasis on individual freedom, prosperity and happiness stands in sharp contrast to the Maoist vision of self-sacrifice, self-discipline and self-restraint. The question for the journalist is how to tell this story in proper context. Regardless of all the talk of the secularization of the media and culture in Europe and America, we in the West still live in Christendom. By this I mean that a Western journalist can assume that his audience has a shared Judeo-Christian worldview on base moral matters. One of these is the Good Samaritan ethic. Is such an ethic appropriate? Is it possible for a journalist to stand outside his culture? The Yue Yue story illustrates this dilemma. Were the 18 bystanders moral monsters, or were they acting according to a different faith code? Should the Judeo-Christian worldview be the prism through which this story is told to the world? Is there a single moral good or truth? Is the enlightenment project — is reason — dead? What say you GetReligion readers?